It’s a globetrotting batch of new whiskies this week, encompassing liquid not only from Scotland, but also from Australia and the Netherlands. Age is similarly broad in scope, taking in everything from five to 60 years old. 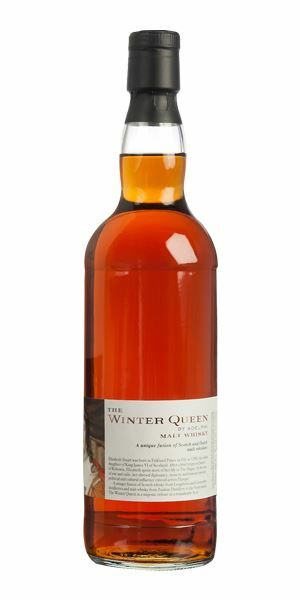 The international element is supplied by The Brisbane and The Winter Queen, two blended malts from Fusion Whisky that combine single malt Scotch with, respectively, whisky from Starward in Australia and Millstone in the Netherlands. While Dave Broom has praise for both, the ‘hugely successful’ Brisbane has the edge over the ‘powerful and assertive’ Winter Queen. 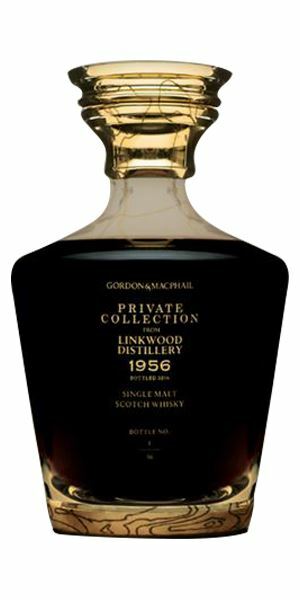 At five and nine years old, the Fusion whiskies are mere striplings compared to Gordon & MacPhail’s 60-year-old bottling of Linkwood 1956, released last week and priced at a cool £22,000. Broom finds it ‘fascinating and remarkably aromatic’, even if the wood has started to take charge. 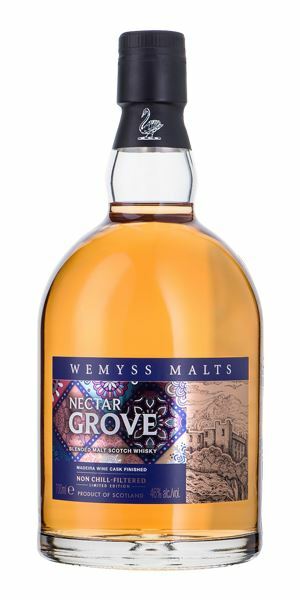 Back to blended malts and a considerable drop in price for the latest flavour-led release from Wemyss Malts, Nectar Grove. Finished in Madeira casks, this combination of Highland malts wins Broom’s favour for its fruity drinkability, although he finds it just a little shy. 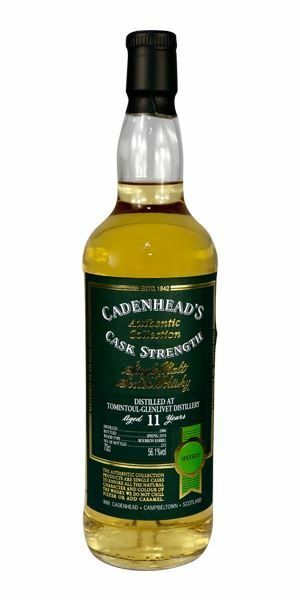 Then another Speyside single malt – an 11-year-old Tomintoul from independent bottler Cadenhead. It’s ‘clean, light and inoffensive’ and, while Broom likes it, he can’t help wondering if it would have benefited from a little more age. 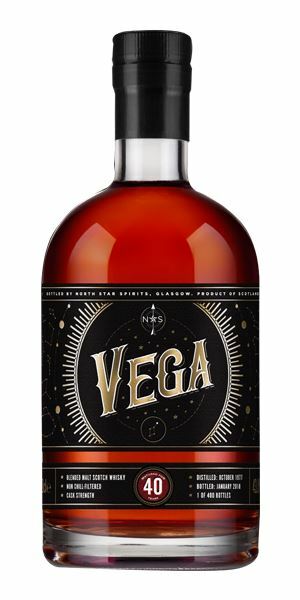 Where Nectar Grove shows youth, our final blended malt – Vega 40 Years Old from North Star Spirits – illustrates how long maturation can soften, smoothing off any rough edges. It’s also keenly priced, says Broom – so get your skates on. This week’s whiskies are again accompanied by a special Spotify playlist compiled by Broom to match the flavours and styles on offer. Like the whiskies themselves, the music is eclectic, including offerings from Parliament, Chet Baker and Ryuichi Sakamoto. Click on the links in the notes under ‘Right Place, Right Time’ to access the playlist. Fruit! Fat, rich, fruit: stewing peaches, barbecued pineapple and super-ripe banana (very Starward). It sweetens into honey, date, light barley sugar and griottine cherry in syrup. The wood, while present, is in the background and tea-like: second flush Darjeeling. Water doesn’t diminish the undoubted power, adding more layers of fruit, some raisin, orange bitters and rosewater. Honeyed power from the off, with an added black fruit element: blackcurrant (Ribena even), with some mango in the centre. There’s a light grip, accompanied by a bittersweet element like dried goji berries. The heat is tempered by the addition of water, which changes the ripe bananas into fried ones, and also softens the texture, making it silky and elegant with mature depth. The oak adds a toasty element, as if the Scotch is showing its hand. Just as things start to grip, it sweetens again and softens into ripe fruits. Light chocolate (not for the last time this week), rhubarb, then hints of cereal. A vatting of five-year-old whisky from Starward and (probably somewhat older) Scotch from Glen Garioch, ‘teaspooned’ with Glen Grant. It pays homage to Thomas Makdougall Brisbane, who was Governor of New South Wales from 1821-25, built observatories and also repealed the Prohibition Act, allowing legal distilling to take place in Australia. 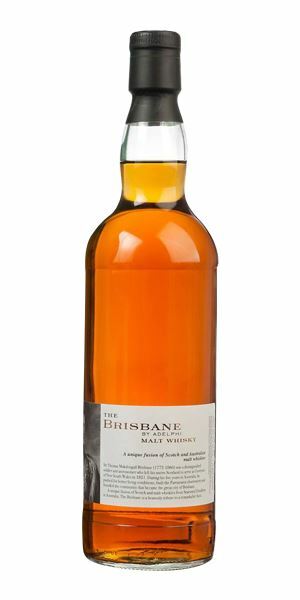 It’s also the first whisky to use Blockchain technology and a hugely successful fusion between the estery power of Australia’s finest distillery and some elegant old Scotch. Australia links with Scotland. You could call it a Mothership Connection. Take it away, Star Child. Intense and brooding, with remarkably fragrant fruits mixed with shiitake/cep mushroom, alongside an almost Armagnac-like earthiness, and some bitter orange. There’s also a scented peach skin/nectarine element, which sits happily alongside some clove and allspice. Not for the only time this week, there’s touches of violet, but it’s the fruits which are the focal point here. It slowly becomes more concentrated, with molasses, dried fig and raisin, mixed with dunnage notes. All in all, astonishingly alive and increasingly perfumed. In time, the heavy rancio notes thrust forward and things become steadily more balsamic, with burnt fruit cake/gingerbread and pipe tobacco. Water brings out toffee, then leather (an old bureau), brown Sherry, and walnut skin. There’s plenty of tannin here, and things are fairly mouth-drying from the start, though the fruits move towards apple, the bitter pits of fruits, Assam tea with added smokiness and, while there are some pot-pourri-like floral elements, the wood is now in charge. Water briefly softens those gripping tannins and brings out sandalwood, then a resinous and slightly smoked note. Drying, with great length. Five minutes or so afterwards, there’s chocolate and coffee bean. Fascinating and remarkably aromatic, given the length of time this has spent in a Sherry hoggie. The wood has, however, won the battle. A story which Time Has Told Me. Slightly hot to start with, with a tiny burnt note before you get straw bale, grilled hazelnut and, in time, new book. Then comes the enticing aroma of a hot, freshly-baked baguette. Some slightly weighty (white) fruits push forward, but it’s the crusty bread element which dominates. Water makes it a little dried, leaner and grassy, with some fresh (ie young) elements showing though, in time, the fruits emerge with bruised peach. Finally, the elements start to cohere. There’s more fruit here, soft, slightly grapey and sweet, while the dusty blue elements are suggestive of slivovitz. Much softer than the initial nose, with a greater spread of flavours which start soft, light, and nutty then drive forcefully into this central youthful spritz before the elements slow and deepen into the blue fruits. Water makes it even more relaxed, amenable and fruit-driven, adding in some fruit tea. Slightly drying, with a hint of bitterness. Touches of fruit with some pepper on the very end. Long, juicy and highly drinkable… but it needs time to open. Relaxing in a Shady Grove. Light and slightly spirity, but there’s melon, a quite high nose burn and then Lilt (with the totally tropical taste). Once you get over the alcohol, there’s some delicate orchard fruits, but always the feeling that the low cask means that the distillate is slightly too exposed. Water adds a little more weight alongside some roast celeriac and a more syrupy (almost rum-like) element, scented fruits, then (green and yellow) Jelly Babies. Things remain simple when neat, with the fresh starch element that suggests that things aren’t quite fully developed or integrated. Water needs to be added quickly (or from the off), which brings out pineapple and this slightly bland but pleasant wobbly quality reminiscent of pannacotta, before a jag of the acidity appears. Becomes slightly hard once more. I might have been tempted to leave this for a few more years, but if you want a dram which is clean, light and inoffensive, then look no further. A softly yielding mix of treacle toffee, chocolate fondant, mulberry jam, given some spike by clove oil. There’s some cocoa nibs, then an age-softened mix of walnut cake (with coffee butter icing), old hiking boots (with drying mud), a mildly foxed book, then dried red and black fruits. Everything is very gentle. The low natural strength means that the elements have softened considerably, rounding off any edges. It also slows the delivery. There’s cappuccino on the front of the tongue, then fruit-and-nut bar, touches of apricot, before the tannins ease their way in. Very ripe, with soft power. A light dusting of icing sugar over prunes. Conceivably this is a vatting intended for a blend which was then left in cask (a couple more have appeared recently) and, if not forgotten, then maybe overlooked. The guide price of less than £120 is ludicrously low. I probably don’t need to tell you to get your skates on. As soft as Chet Baker. A fascinating mix of plum pudding and fresh oak, backed with raspberry, maraschino and hot chocolate powder with somewhat Bourbonesque oak-driven elements. Deep and rich, there’s also a soft juiciness which flirts with fruit salad and overripe melon. When water is added, the ripe fruits begin to be released, along with a smokiness (from the wood? ), though steadily the oak begins to assert itself. A layering of soft fruits with baked vanilla, the bittersweet topping of a crème brûlée backed with bitter chocolate and dried strawberry. It remains somewhat assertive in the oak department and, though dilution lightens things – and adds some violet, mace and dusty cinnamon – it steadily moves into espresso. Powerful, layered, grippy, with chocolate galore. A powerful and assertive mouthful, though the wood is a bit forceful for me. A vatting of Millstone from the Netherlands with Longmorn and Glenrothes, this is named after Elizabeth Stuart, daughter of King James VI/I (and granddaughter of Mary, Queen of Scots), who reigned as Queen of Bohemia for one season in 1618/19 (hence The Winter Queen). She was exiled to The Hague and became the leading diplomat of her time, while her court was a focal point for Dutch cultural life. Driving, funky and forceful – just like the Dutch and Ethiopian fusion of The Ex and Getachew Mekurya. 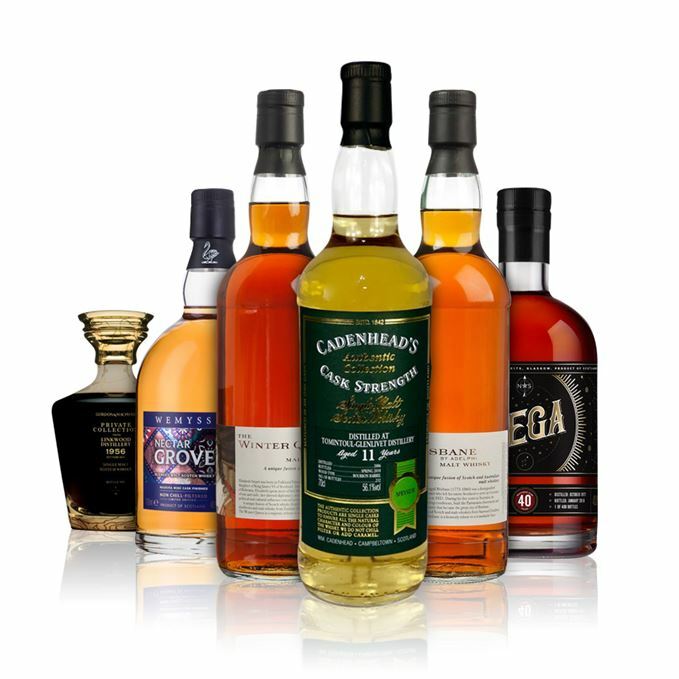 Batch 142: GlenAllachie Single Casks 06/04/2018 A release of six single cask single malts from the Speyside distillery, from 1978 to 1991.